An organization’s core values are different from our personal core values. You have to imagine the organization speaking for itself and answering the question: What is absolutely essential for this organization’s success? The leaders of an organization have to put themselves in that mindset to truly get at the organization’s core values. The core values planning team should be comprised of the current stewards of the enterprise. The chief executive needs to lead it. This is not a job to delegate. His or her strong participation is crucial, given that the outcome will be identifying what is essential to the success of the company. If the chief executive chooses not to take part, it’s a sign that the exercise is not serious. The basic question is this: What activities are essential for our organization’s success? 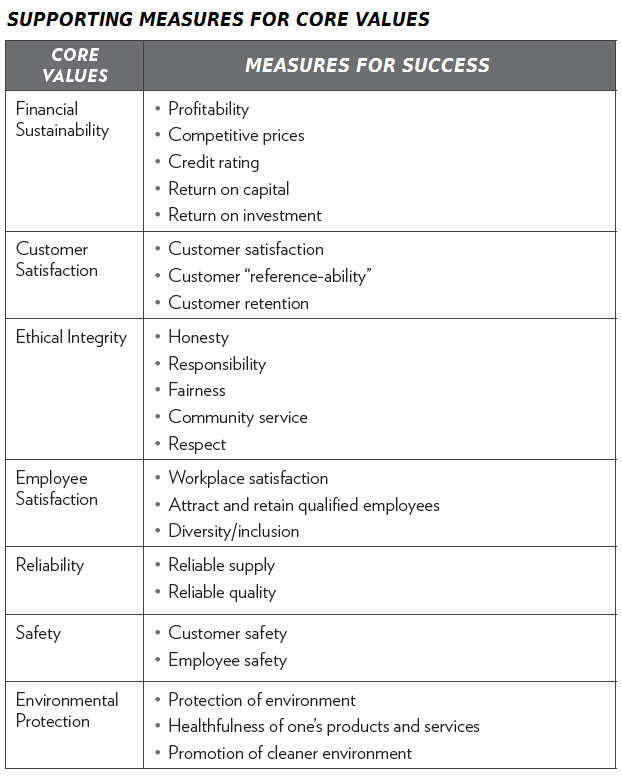 In an earlier post, I listed the seven categories of core values that one should explore: Customer satisfaction, reliability, safety, financial sustainability, ethical integrity, environmental protection, and employee quality. Use those seven categories to begin thinking about your company’s core values. As you develop your core values, it’s very helpful to discuss why it’s a core value and how you’d measure it. 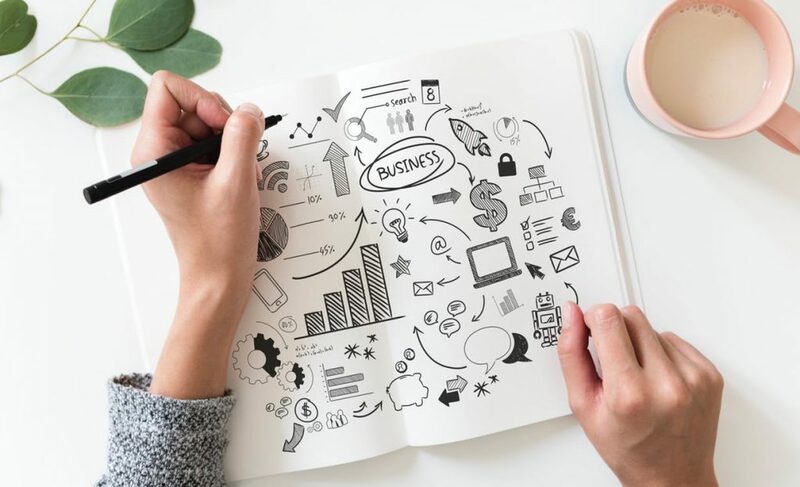 For example, for the core value of financial sustainability, you might measure “maintaining competitive prices” or “assuring access to credit.” Competitive pricing can be measured via an index of competitors’ prices. The process of determining how to measure each value will help you clear away any lingering cobwebs about what the value means. For example, if innovation is a core value, then figuring out how to measure it will help clarify what it means. Is it generating a certain number of new products and services or entering specific new lines of business? Is it being perceived as innovative by your customers? Is it continuous improvement in quality? Not all core values will be in harmony with each other—some will be in discord. Talk about cases where these conflicts might occur—and how you’d deal with them. For example, someone might say: “If we satisfy every customer all the time, it will put pressure on our core value of financial profitability.” You should test that assumption. “To what degree would our financial profitability be compromised if we focused on satisfying every customer? What are some illustrative cases?” Discuss what communication is needed to resolve those conflicts. How should you make decisions when two or more core values are in tension? There’s no right answer to the question. The right response is that you’ve thought it through and trust that you can communicate effectively with each other to strike the right balance. 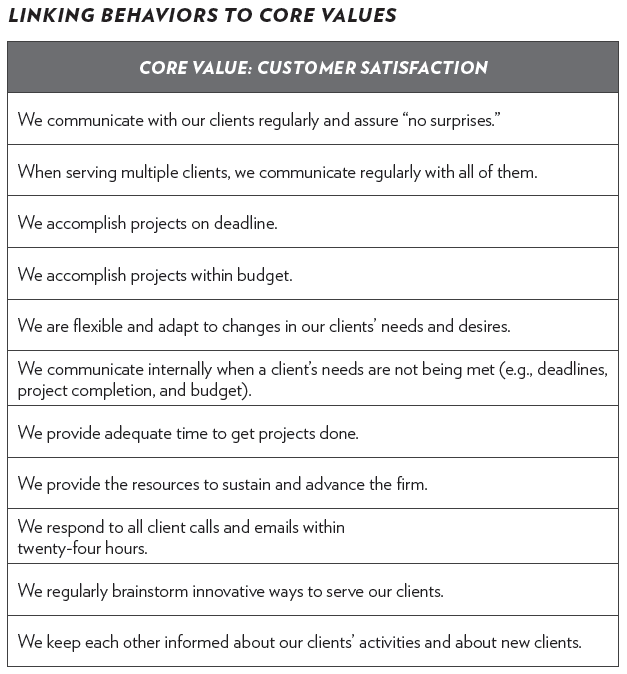 Once you pin down your core values, it’s important to list the management and employee behaviors that support them in the form of “we statements.” In the example below, you can see how one company translated its core value of customer satisfaction into we statements. Subscribe to the LRI Newsletter to receive additional leadership tools and resources.